Welcome to the Have Your Say on Disability website, a place for you to tell us your views on disability issues in Scotland. This website provides the opportunity for disabled people to help to shape Scotland’s future in accessibility and equality. As someone with lived experience of – or representing someone with – a disability, we would like you to tell us what you feel is working and what needs to change in Scotland by completing our surveys. Our surveys are on current policy consultations and available in alternative formats. 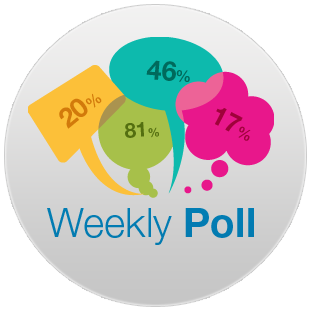 We are excited to launch a new weekly poll that will allow you to have your say on a number of different topics affecting disabled people in Scotland. The poll is a simple yes/no question that will be published each week along with the opportunity to leave a comment on the chosen topic. If you want to take part in our weekly poll, please sign up to become a member of Disability Equality Scotland. You can do so today for FREE by clicking the button below. We are excited to announce the launch of our official YouTube channel! To kick things off, we have uploaded 4 BSL videos that have been translated from our Weekly Poll questions. Your comments will be passed on in full to those who have requested the survey, making sure that your views really are counted. Your responses are anonymous unless you wish to provide your details. The Scottish Government and other bodies want to know what is working, what is not, and what needs to happen to improve life for Scottish disabled people, so your comments can really make a difference! The full Your Say on Disability promotional toolkit is available here, including social media sharing functions, banners, and other materials to promote Your Say on Disability in your network. Disability Equality Scotland is a membership organisation representing individuals with any type of impairment, disability organisations, groups and individuals who share our values. Deaf Scotland is the lead organisation for deaf issues in Scotland. We aim to ensure that deaf people in Scotland can access services and information across all sectors of society from their local communities to what comes from government departments. The Scottish Government wants to make it as easy as possible for those who wish to express their opinions on a proposed area of work to do so in ways which will inform and enhance that work.